Managing farms, restaurants, and even hotels can get old after a while. Hospitals, on the other hand, are always busy. Dream Hospital is a brand new management game for Android and iOS that puts you in charge of your very own hospital. It’s not just about running a hotel for sick people. You need to build treatment and diagnostic rooms, research new ways to cure various illnesses, maintain a high reputation, and compete with other hospitals in town. New and rare diseases pop up all the time, and you need to be prepared to handle them while making sure no other patient is neglected. Keep expanding your hospital in order to accommodate more patients and upgrade your equipment to treat more types of illnesses. If you find yourself struggling to keep your hospital in business, don’t worry! 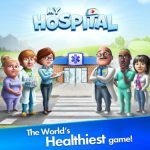 Our Dream Hospital cheats, tips and tricks will help you diagnose and treat whatever ails your game! While you are definitely the captain of your ship, there is no harm in listening to advice. The game gives you an Adviser list that tells you everything that needs to be done in your hospital. It may seem overwhelming at first because of all the notifications you will be getting, but you will learn to appreciate it over time. Some things are more important than others, and the Adviser list is just a good way to keep track of everything that is going on in your hospital. The game allows you to plop down various items and equipment around the hospital as you please. That does not mean, however, that you just randomly place things where you feel like it. Positioning of items matter if you want to run a successful hospital. If you place chairs for patients to sit while waiting, you need to make sure there are vending machines and trash bins nearby to keep them happy. Neglecting to place bins will result in a dirty hospital, which is the last thing you want in a place that’s supposed to be sanitary. Since it costs a lot to keep expanding your hospital space, it is best if you maximize what you already have. Keep your hallway sizes to just 1 square wide. This way, you will have more space to place other objects in. You don’t need wide hallways since foot traffic won’t really result in congestion in tight spaces. 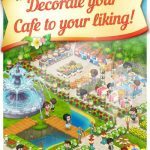 As you progress in Dream Hospital, new rooms and utilities will become available. Since you have limited resources, you will have to know which ones to prioritize. While you are still starting out, it is best if you focus on the Laboratory, Handyman’s Closet, Toilet, Benches, and Staff Room. These are things that are most in demand in the hospital and they will remain that way throughout the game. The lab processes a lot of patient requests. The Handyman’s Closet ensures your hospital stays clean. Toilets and Benches are basic needs that keep your patients happy. Finally, the Staff Room is needed to ensure your staff remain happy and do their jobs properly. Patients will make special requests from time to time. These requests usually involve specific items in the Medical Store. Make sure you keep several supplies in stock at all times. This will help you fulfill special requests quickly, making more patients happy in the process. On top of that, the same supplies are also used for getting Blueprints from the Trade Offer truck. Having the supplies on hand when the truck arrives will allow you to acquire Blueprints immediately. Time is one of the most important resources in any management game. Anticipating needs by keeping supplies in stock will help save you a lot of time. In order to unlock more content, you will need to raise your level. You don’t level up naturally as your hospital earns money. You need to collect blue experience stars in order to level up. These stars are awarded to you whenever you complete quests and special requests. This is another reason to keep your Medical Store well stocked. You need to be able to complete special requests as quickly as possible in order to gain a lot of experience. If you are wondering what you will be able to unlock on your next level, just tap on your level bubble. This will help you plan your strategy ahead of time. As we mentioned above, you will need to complete quests in order to gain experience. Go to the Quests tab in order to see the list of Tutorial Quests, Daily Tasks, Events, Hospital Quests, and Achievements. These are all tasks that you need to accomplish in order to keep progressing in the game. Tutorial Quests and Daily Tasks should be your top priority. Make sure all your Daily Tasks are completed before the day ends. Events are a good way to earn some extra goodies, but you need to be at least level 10 before you can access them. Hospital Quests reward you with coins, reputation points, and more experience. They take a little bit longer to complete than Daily Tasks, so work on them when you have time. Finally, Achievements are milestones that you reach within the game. Just keep playing and you will eventually complete those milestones. Check out the list of Achievements you can aim for because they reward you with precious Diamonds, the game’s premium currency. When you level up, your Reputation is affected. Maintaining a good reputation and keeping customers happy will earn you additional rewards. Make sure you tap on your Reputation menu through the heart meter at the top left of your screen. You will be able to claim daily rewards from there. On top of that, you also get to see which facilities your patients are expecting to find in your hospital. Make sure you build those facilities as soon as possible in order to keep up with your reputation. When your employees get tired, they go on breaks. If you do not have Staff Rooms, it will take them forever to replenish their energy. Place several Staff Rooms near centers to minimize the travel time of your employees when they go on breaks. Maintaining a good number of Staff Rooms will help manage your staff’s down time. Aside from minimizing break time, another way to keep your hospital running smoothly is to always hire a few extra Doctors and Nurses. This means you will be able to quickly assign another staff when one goes on break. There will be no down time for any of your facilities because there will always be someone in charge. Just make sure you don’t hire too many extra people or you will end up blowing up your overhead costs. People don’t like waiting in general, but when they are sick, they hate waiting even more. That is why you should minimize wait times for your patients as much as you can. Most patients just need a general practitioner and can be treated by meds from the Pharmacy. Build at least two GP offices and two Pharmacies to help keep up with the higher demand from patients. This should help reduce the wait times of your patients overall. When you are performing a Manual Cure, it may be tricky to diagnose a patient sometimes. There are some symptoms that you might not know how to diagnose. The good news is that you can actually work through these by using logic. For example, if the patient is only complaining about abdominal problems, then you don’t have to consider any of the illnesses that do not have abdominal symptoms. Keep working through the symptoms until you come up with a cure. The game gives out a few ad offers each day that can help you progress further. When you are producing goods in the Medical Store, you will often encounter ad offers that will speed things up if you agree to watch a video. Always accept these since keeping the store well-stocked is one of your top priorities. If you are a free player, your primary source of Diamonds would be from quests and other events. You will be able to get a few more free Diamonds if you head into the Premium tab of the facilities building menu. Here you will find a button that will allow you to watch up to four ads per day in exchange for some free Diamonds. Always use up all four chances in order to maximize your resource gain. You can only get a few Diamonds for free in Dream Hospital. Even if you watch ads daily, it won’t be worth a whole lot. This is why you should always save your Diamonds for important expenses. Never waste diamonds on speeding up any of the timers. Hold on to your Diamonds until it is time to purchase expansions and Blueprints for your hospital. Managing a hospital can be very challenging. 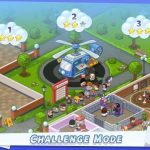 Make sure you rely on our Dream Hospital tips and tricks above to help you run the best hospital in town! In case you know any other tips or strategies for the game, feel free to share them with us in the comment section below!